The American Health Council has appointed Dr. Kayla Kloc to its renowned Industry Board, in recognition of her role as a Clinical Pharmacist. With almost a decade of experience, her expertise and contributions are focused on the ongoing patient management of patients currently taking Warfarin. Dr. Kloc always knew that she wanted to be in healthcare, but was undecided in what area. After spending time considering a future career as a nurse and as a physician, she realized that her interest lay in pharmacy. The opportunity to work as a pharmacy technician while studying her undergraduate degree, confirmed to her that being a pharmacist was indeed the route she wanted to pursue. Dr. Kloc began her academic studies at Midwestern University where she attained her PharmD in 2009. Following on from this, Dr. Kloc furthered her medical knowledge at the College of Pharmacy, Glendale, becoming a CACP, Certified Anticoagulation Care Provider. Having spent 5 years at her current position at Cigna Medical Group, Dr. Kloc continues to successfully fulfill her role as a Clinical Pharmacist. Cigna Medical Group is a multi-disciplinary group offering easy to access medical care across the Phoenix Metro area. It offers various services including wellness checks and preventative care, general health and well being, management of acute and chronic diseases and treatment of chronic illness. With 20 conveniently located medical offices, Cigna Medical Group provides 3 urgent care locations, access to quality specialists, services and 18 onsite pharmacies. Dr. Kloc is particularly well known as a specialist in anti coagulation medicines, used for the prevention or treatment of disorders characterized by abnormal blood clots, with particular expertise in Warfarin, an oral medicine used in anti coagulation. As part of her role, Dr. Kloc’s daily responsibilities involve working with the physicians in the medical clinics to service patients who currently take Warfarin. Currently working with Medicare patients in her clinical pharmacy role, she oversees the care of approximately 1800 patients who are on this specific type of medication. As part of her patient care routine, Dr. Kloc will follow up with patients at POC or by reviewing lab work and following up by phone. Dr. Kloc also has the ability to prescribe Warfarin under a patient’s primary care physician, when they are part of the Cigna Medical Group. Amongst Dr. Kloc’s many accomplishments, she is particularly proud to have become a Certified Anti coagulation Care Provider, an accreditation she has held since 2013. Dr. Kloc has a passion for educating people in the use of Warfarin and strives to promote awareness by leading presentations. In 2018, Dr. Kloc was recognized for her efforts as the recipient of the Pharmacy Appreciation Award for teaching and maintaining the AzPA Anti coagulation Certificate Program. 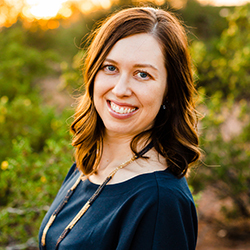 In an effort to continually broaden her knowledge, Dr. Kloc remains an active member of the Arizona Alliance and American Pharmacy Association, which both allow her to keep up to date in such a fast-paced industry. Dr. Kloc attributes her success to her loyalty to her employer and believes that dedicating years of service shows a great sense of character . She also feels it is important to attribute some of her success to her great co-workers and the sense of family that they have created, as well as a bit of luck, timing and opportunity. Although extremely happy in her current role, in the future Dr. Kloc would like to explore practicing more comprehensive services and with newer medication. She also possesses an interest in adding additional qualifications to her CV, allowing her to expand her role and expertise into areas such as diabetes management. Outside of work, Dr. Kloc enjoys spending quality time with her family and particularly her 2 small children. Whenever possible, Dr. Kloc also volunteers at the St. Mary’s Food Bank and the Halle Heart Museum. Cigna Medical Group is a multi -disciplinary medical group offering easy to access medical care across the Phoenix metro area. They are on a mission to improve our customers’ health, well-being, and sense of security with the power of preventive care.